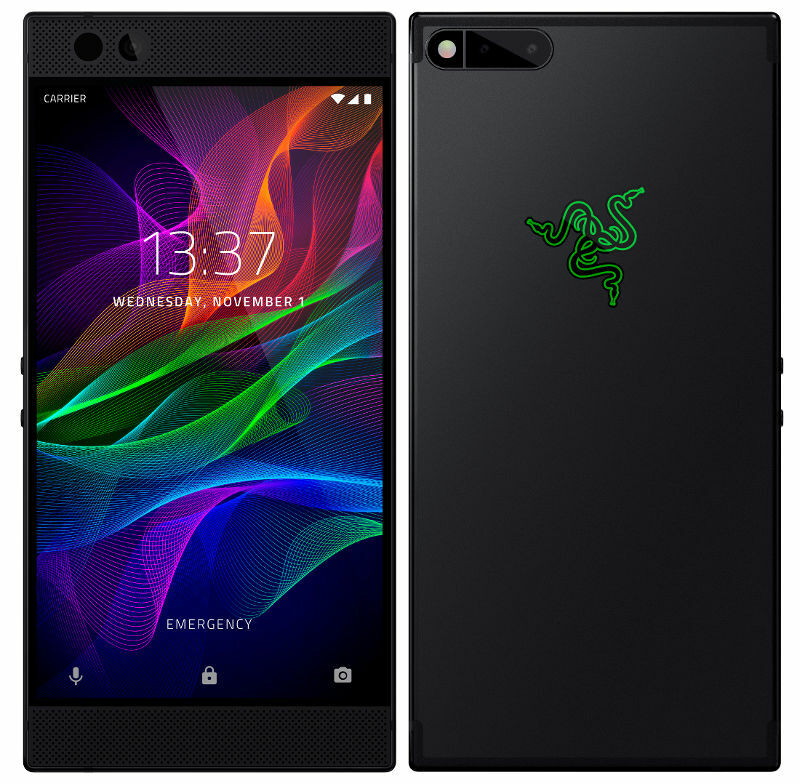 Razer has announced Razer Phone the most powerful gaming smartphone at an event in London, Razer designed first smartphone packs a 5.72-inch (2560×1440 pixels) Quad HD IGZO LCD UltraMotion display with Corning Gorilla Glass 3 protection delivering fastest refresh rates and smooth graphics suitable for gaming with 8GB LPDDR4 RAM and the phone is powered by Snapdragon 835 chipset. The matte black aluminum body of the phone acts as a heatsink to cool things down during gaming or video sessions and comes with THX-certified USB-C audio adapter with a 24-bit DAC and packs a 4000mAh battery with support for Qualcomm Quick Charge 4+. The Samsung has recently launched flagship phone Galaxy Note 8 with 6.3-inch QHD Super AMOLED infinity display , 6GB RAM, dual rear cameras in usa price at $929. 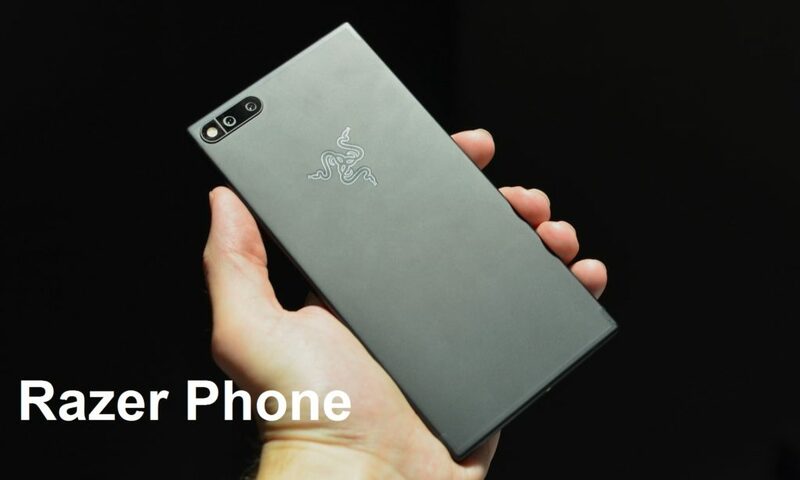 It is powered by Snapdragon 835 Mobile Platform with 8GB of RAM comes with 64GB (UFS) storage, expandable memory up to 2TB with microSD and runs on Android 7.1.1 (Nougat), which will be upgraded to Android Oreo 8.0 in spring 2018 says Razer. It has a dual rear cameras, one with 12-megapixel wide-angle (f/1.75 aperture) lens and the other with 13-megapixel telephoto lens (f/2.6 aperture) for 2x zoom. Price at US $699.99 (Rs. 45,160 approx.) / €749.99 (Rs. 56,350 approx.) / £699.99 (Rs. 59,940 approx). 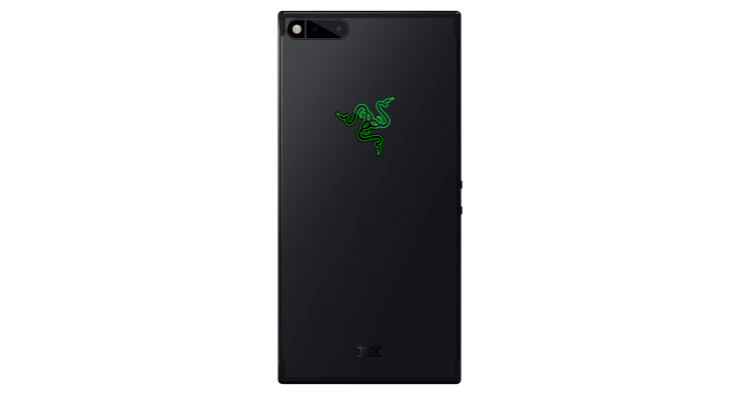 It is also offering 1,337 units of Razer Phone Unlocked Special Edition with Razer’s iconic green triple-headed snake logo compared to chrome triple-headed snake logo. UK Pay Monthly contract with Three starting from £41.00 a month, £49.00 upfront at Official.